Papers at University of Michigan, Bentley Historical Library. Letters at National Archives, Washington, D.C.
Papers and other materials possessed by Roger Hiemstra. Born in Whitesboro, NY, son of Frederick William and Lillian (Dean) McClusky. Married Helen Hazel Hartman, August 26, 1930. Children: Edith Lillian, William (dec.), Samuel (dec.), Frederick Yale, and John Evans. Died at Chimney Corners, his summer home on Crystal Lake in Northern Michigan. On the faculty in Education at the University of Michigan. Active in Michigan Council of Churches and the Presbyterian church for many years. Delbert-Clark National Award in Adult Education, 1956. Distinguished Faculty Achievement Award, University of Michigan, 1958. Michigan Legislature Concurrent Resolution of Tribute, 1969. AEA Pioneer Award, 1975. University of Michigan Board of Regents Citation, 1975. 1913-18--General Studies, Blackburn Academy, Carlinville, Illinois (pre-college and beginning undergraduate). 1921--A.B., English, Park College, Parkville, Missouri. 1929--Ph.D., Educational Psychology, University of Chicago, Chicago, Illinois. 1933-34--University of London, sabbatical study. 1945--Post-doctoral Fellow, National Council of Religion in Higher Education. 1921-22--Teacher of English, Park Academy, Parkville, Missouri. 1923-24--Research Associate (Commonwealth Fund Fellow) with the Commonwealth Fund investigation of visual education under the supervision of Professor Freeman, University of Chicago and Northwestern University. 1924-25--Instructor, Education Psychology, University of Michigan. 1927-34--Assistant Professor, Educational Psychology, University of Michigan. 1934-39--Associate Professor, Educational Psychology, University of Michigan. 1938-45--Assistant to Vice President in Charge of University Relations in the field of Adult Education, University of Michigan. 1939-69--Professor, Educational Psychology, University of Michigan. 1940-42--Associate Director, American Youth Commission, American Council on Education, Washington DC (on leave from U. of Michigan). 1943--Consultant to Office of Civilian Defense and Office of War Information. 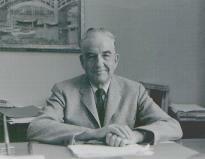 1945-48--Director, Bureau of Studies and Training in Community Adult Education, University of Michigan. 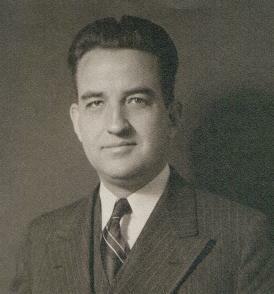 1948-64--Establisher and Chair, Department of Adult and Continuing Education, University of Michigan. 1970-82--Professor Emeritus, University of Michigan. 1971--Co-Chair, Section on Education, White House Conference on Aging. 1973-74--Visiting Professor, Adult Education, University of Nebraska. Coping, expressive, contributive, influence, transcendence needs. Mental hygiene (forerunner of special education). Judd, Dr. C.; Howard studied under Dr. Judd, successor to John Dewey and head of the Education Department at the University of Chicago. 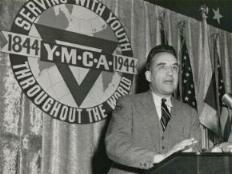 Adult Education Association of the USA (first president, 1951-52) [AEA]. Commission of Professors of Adult Education (founding member, 1953) [CPAE]. National Association of Public School Adult Education [NAPSAE]. National Community Education Association [NCEA]. National Society for the Psychological Study of Social Issues. Progressive Education Association. Coordinated a Kellogg Foundation project designed to establish community development programs in rural Michigan towns, 1935-38. Founding of the Adult Education Association of the U.S.A., 1950-51. A bibliography of his approximately 150 articles, monographs and book chapters is available in a "word" format from Roger Hiemstra via electronic mail or you can click here to see an electronic version. Griffith, W. S., & McClusky, H. Y. (1980-82). (Series Co-editors). "The AEA Handbook Series in Adult Education." San Francisco: Jossey-Bass. McClusky, H. Y. (1948). The teacher and the small community. Lincoln, NB: The University of Nebraska Press. Schorling, R., & McClusky, H. Y. (1936). Education and social trends. Chicago: World Book Company. Hiemstra R. (1993). Three underdeveloped models for adult learning. In S. B. Merriam (Ed. ), An update on adult learning theory (New Directions for Adult and Continuing Education, No. 57). San Francisco: Jossey-Bass. Jacques, J. W. (1973). Recollections and reflections of professors of adult education: Early 20th century leaders and pioneers in the field (Taped oral interview between Howard McClusky and Joseph Jacques). Syracuse, NY: Syracuse University, George Arents Research Library. Main, K. (1979). The power-load-margin formula of Howard Y. McClusky as the basis for a model of teaching." Adult Education, 30, 19-33. One interesting conclusion after examining his interests and activities is that Howard has been a man of his own time by changing his primary clients to progressively older people as he himself aged. He spent much of his first 15 years at the University of Michigan helping to train teachers to work with children. During the middle to late 1930s Howard became concerned with educational needs of older youth, especially rural youth. 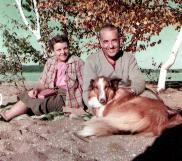 Sometime in the early 1940s he began to develop his interest and expertise in adult education. He continued solidifying this emphasis area, making many valuable contributions to the field of adult education until around the time of his "official" retirement from the University of Michigan.